 Iran, Jan. 21, 2019 - Various cities throughout Iran are reporting activities by “Resistance Units,” a network associated directly to the Iranian opposition People's Mojahedin Organization of Iran (PMOI/MEK), targeting regime icons. In Tehran, members of Resistance Unit 777 raised a Massoud Rajavi poster quoting him saying the ongoing uprising in Iran will never be put down. Other members of resistance units across Tehran put up Massoud Rajavi posters in different areas of the Iranian capital. In Sari, northern Iran, members of Resistance Unit 786 in this city sent a message saying the final victory is ours. Members of a resistance unit in Shiraz, south-central Iran, were also seen putting up Massoud Rajavi posters. Members of a resistance unit in Abadan raised Massoud Rajavi posters and celebrated January 20.